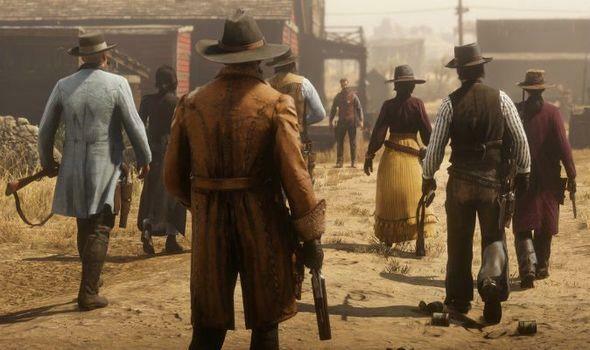 Though we don't have an exact date for the next big update to the Red Dead Online Beta, there's a lot of cool new content in the works. The next major update is currently planned for later this spring, including the following. The Hostility system builds upon the anti-griefing measures we saw added in February. For example, players who have damage inflicted on them by attackers will be able to defend themselves without incurring Bounties or Hostility increases. Where before the attacker and target would be marked as an enemy, now the initial attacker will be immediately marked as an enemy, and players will not accumulate Hostility increases for killing those marked as an enemy. Players will be able to choose between Offensive and Defensive Playing Style options, depending on their gameplay preferences. While the Offensive Playing Style is basically Free Roam, the Defensive Playing Style is a more evolved Passive Mode. Choosing the Defensive option introduces balances that compliment a less confrontational approach. For example, defensive players cannot be lassoed by rival players—although if a Defensive player lassos another player, they’ll be removed from Defensive play and incur a significant Hostility level increase. There are several other adjustments that come with the Defensive Playing Style, all of which are built to work with systems like Hostility and Bounties. We'll see if this all really tones down the griefing that plagued earlier updates of the beta, I suppose.